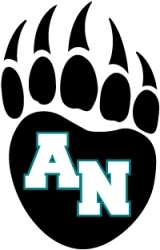 The Aliso Niguel High School basketball Varsity and Junior Varsity teams will hold their 2nd annual Basketball Skills Clinic for 25 Special Needs Young Adults on October 13th from 10am – 1pm at the high school gym. Aliso Viejo, CA, October 08, 2018 — High School Coaches and Players will work with the young adults on basketball skills, dribbling and ultimately play a scrimmage. Head Coach Keith Barnett teaches his players on and off the court, the importance of community outreach. Jack Steiert (Senior on Varsity) and Nicholas Steiert (Sophomore on Junior Varsity) are coordinating the event this year with Randy Larson, the founder of Glenwood House. The event will conclude with a barbecue lunch for players and families. Stater Brothers, Vons and Smart & Final each donated. Special Needs young adult players join from Glennwood House in Laguna Beach and the Lighthouse Group at Coast Hills Community Church in Aliso Viejo. Glennwood Housing Foundation, Inc. was founded in 2009 by the Larson family. The purpose was to move beyond the interaction provided by recreational sports and address the social, spiritual and financial needs of this distinctive group of young adults as they matured beyond their teenage years. In August of 2013, the Glennwood House opened the doors to a 42 room Adult Residential Facility in Laguna Beach, California that became home for up to 50 young adults with development disabilities. The Lighthouse Ministry at Coast Hills Community church in Aliso Viejo is a ministry for individuals with physical and developmental disabilities. The group meets every Monday evening. Coast Hills is one of the few churches in Orange County with a program specifically for Special Needs young adults, going back 15 years.